Our Connecting to Collections (C2C) team has received a 21st Century Museum Professionals grant from the Institute of Museum and Library Services. This funding will allow our staff to initiate the Cultural Resources Emergency Support Team (CREST) to train staff and volunteers from a wide variety of institutions to improve disaster preparedness measures throughout North Carolina. The project will allow C2C to strengthen public/ private cultural heritage partnerships and to provide tangible assistance to organizations across the state. CREST will have a dual focus on training/ preparation and response. Disaster supplies and response teams: CREST staff will encourage the formation, development, and maintenance of regional cooperative groups and emergency response networks. A statewide disaster response team will establish a recovery and preservation resource for any disaster-affected museum in the state. CREST staff will stock a cache of recovery supplies in Raleigh that can be mobilized quickly to aid in response. Grant funding will provide specialized team training to encourage a unified and safe approach to recovery efforts. Team members will help organize regional disaster response networks and will be equipped with basic “go kits” of safety supplies. 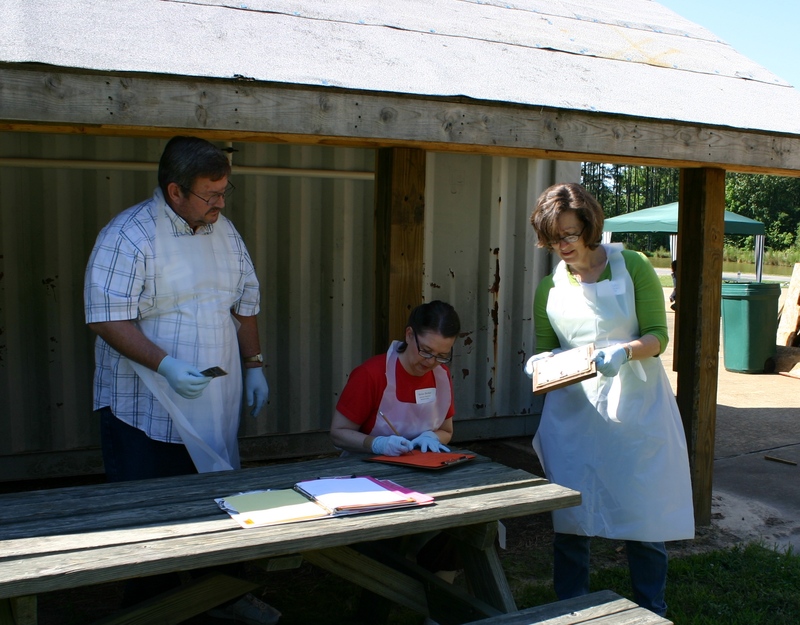 Participants at one of C2C’s burn recovery workshops assess and record the condition of “artifacts” that they have retrieved from the controlled burn building. Workshops: By providing low-cost regional workshops, NCDCR has offered an important resource for North Carolina’s low-budget museums. Through a growing statewide network, project staff will continue to identify and to collaborate with other experts across the state in order to provide a rich variety of training opportunities in planning, preparedness, and recovery topics. The Federation of North Carolina Historical Societies, the North Carolina Museums Council, and the North Carolina Preservation Consortium will partner with the CREST project and will offer assistance through resource sharing, networking, and outreach. Each of the partners will offer at least one member of their board or extended leadership circle to participate in CREST team development and training. C2C’s statewide disaster preparedness program will be strengthened by an ability to provide small to mid-sized institutions the additional training and guidance they need to execute preservation and preparedness strategies. The creation of a well trained statewide response team will provide long-term assurances to museums that help is available if disaster strikes. For more information contact Disaster Preparedness Coordinator, Lyn Triplett at 919-807-7293 or lyn.triplett@ncdcr.gov. Posted on November 9, 2012, in Connecting to Collections, disaster preparedness, fire, workshops and tagged 21st Century Museum Professionals, CREST, Federation of North Carolina Historical Societies, grants, IMLS, NCMC, NCPC. Bookmark the permalink. Leave a comment.